Running in Eugene, Oregon. 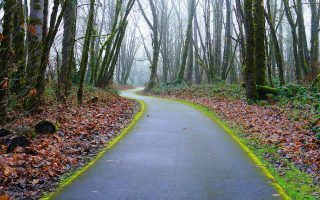 Best routes and places to run in Eugene. 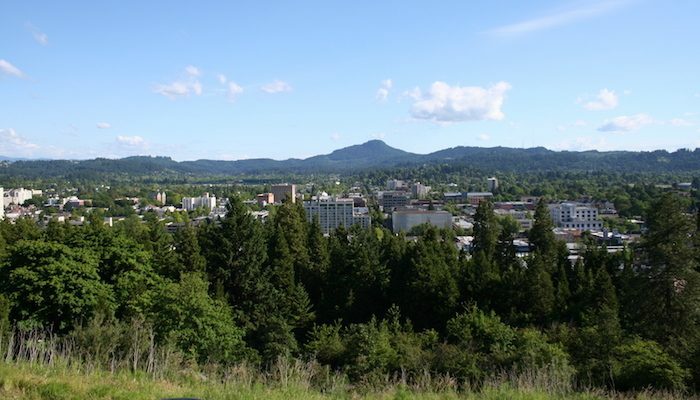 The second most populous city in Oregon (after Portland), Eugene is a bustling college town, with the public flagship University of Oregon at its center. Not only is this hip city known for its artistic, culinary, and brewing prowess, it’s a thriving center of outdoor adventure, with running being no exception to the rule. The birthplace of Nike and hometown of the U.S. Olympic Track Trials, Eugene is sometimes referred to as “Track Town, USA.” It should come as no surprise then, that there are plenty of great options for running in Eugene. 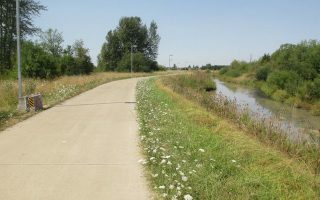 The centerpiece of Eugene’s trail system is the Ruth Bascom Riverbank Path System along the Willamette River. 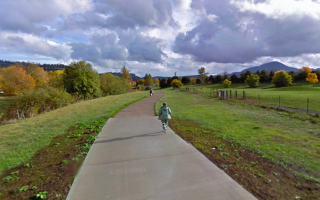 Other notable park trails are Pre’s Trail in Alton Baker Park, the Adidas Oregon Trail/Rexius Trail through Amazon Park, and the Middle Fork Bike Path at Dorris Ranch. Those on the west end of the city will have access to the nicest sections of the Fern Ridge Trail. We’ve also mapped out some of the nicest neighborhoods for running in Eugene. Some of the best trail running options include the scenic Spencer Butte trails, the Ridgeline Trail from Hendricks Park, and the Mt. 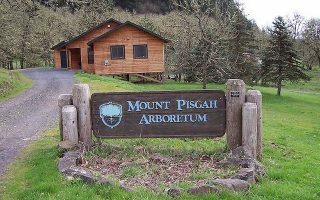 Pisgah Arboretum. 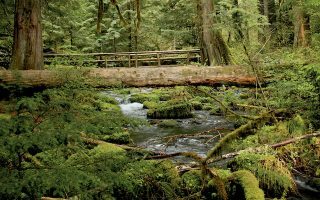 For a destination run, head to McKenzie River Trail, considered one of the best trail runs in state. The LTD, Eugene’s public transit authority, is a reliable and environmentally friendly way to get about town. Most of our routes are covered by this extensive bus system. The city is also incredibly bike and pedestrian friendly — it’s possible to run to (or connect) many of these routes on safe, separated city sidewalks! 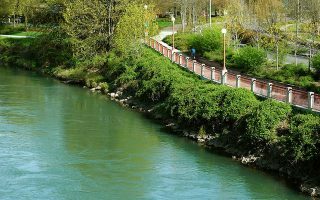 With over 14 miles of waterfront running along the Willamette River and its surrounding parks, the Ruth Bascom Riverbank Path System is one of the top destinations for running in Eugene. Lots of loop options using pedestrian bridges. Consider this a runner's pilgrimage. The scenic 4-mile Pre’s Trail celebrates the legacy of Olympian and Oregon track legend Steve Prefontaine. Starts from Alton Baker Park. Easy access to the Willamette River Trail. The Adidas Oregon Trail (aka the Amazon Trail) is a flat one mile path along the Amazon Creek, which connects with the lovely 3.5-mile Rexius Trail. Bonus: lit for night running. 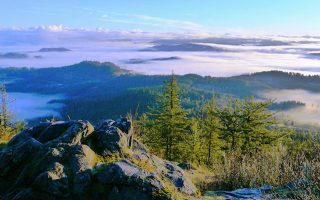 One of the top hiking spots in Eugene, the hilly trail to Spencer Butte rewards with an incredible view overlooking the city and Willamette Valley. 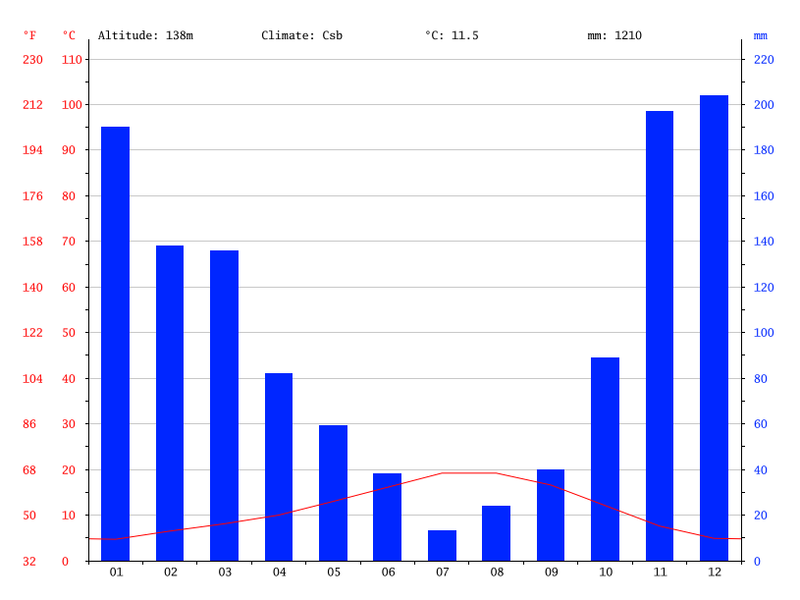 A multitude of trail running options, mostly quite challenging & hilly. 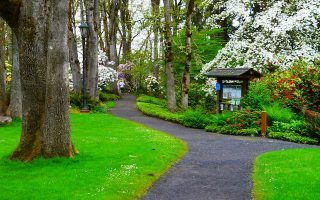 Hendricks Park is the oldest park in Eugene, featuring incredible rhododendron gardens and miles of paved and dirt paths, including access to the 12 mile Ridgeline Trail. This stunning arboretum just a few minutes from town is brimming with paths, from easy rambles to steep climbs up the mountain. A favorite route is an 8 mile loop around the base of Pisgah. An asphalt and concrete path reaching 6 miles from Westmoreland City Park to Meadowlark Prairie Reserve. The nicest part is the west end, where runners can extend their run to Fern Ridge Reservoir. Springfield’s Dorris Ranch is a “Living History Farm” and one of the most popular access points for the 4 mile paved Middle Fork bike path, which runs east to Clearwater Park. Numerous other paths in the Springfield area. Some of the best trail running in Oregon is on the 24+ mile McKenzie River Trail, about an hour’s drive from Eugene. Relatively flat and very scenic. 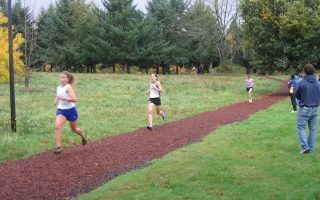 The best neighborhoods for running in Eugene include Laurel Hill, Amazon, and the area surrounding the University of Oregon. Mostly DIY options on grid-like streets. Most Eugene hotels are just off Route 99, centered around downtown and Whitaker. For more lodging info, see EugeneCascadesCoast.org. Among a few chain stores, Eugene Running Company and RunHub Northwest are great independent resources for running gear and advice in Eugene. RunHub hosts a group run from their store each Wednesday at 6 pm and Saturday at 9 am. Eugene Running Company‘s Monday Night Group meets at the store at 6 pm. They also host special sessions for beginners and marathon trainees. 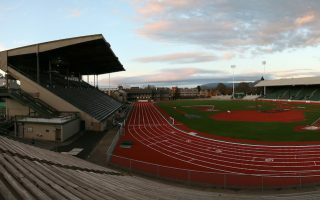 In addition to the U.S. Olympic Trials held at Hayward Field, the Aquafina Butte to Butte and the Eugene Marathon are some of the most popular races in Eugene. Runners can find other Eugene running events here.